Mr Jabulani Ndhlovu brings with extensive experience in Organisation Transformation & Change Management; Organisation Development & Design; as well as Human Resources & Talent Management. He started his career at Accenture as a business consultant, specialising in Organisation Transformation & Change Management. In addition, he has extensive experience in leading and aligning HR functions to business operations. He was a Director for HR at Barloworld Logistics; Microsoft South Africa; and Aurecon Africa Middle East, before joining Vodacom. He is the Managing Executive: Human Resources at Vodacom South Africa. 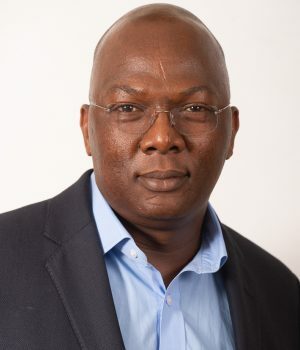 Mr. Ndhlovu also served as Non-Executive Director for South African Airways (Pty) Limited and South African Airways Technical (Pty) Limited) between 2009 and 2012. Part of his role as a director on the board of SAA (Pty) Limited, is that he served as the Chairperson of the Remunerations & HR Board Sub-Committee. He holds an AMP from Said Business School, Oxford University UK and an Honours degree in Organisation Psychology from the University of KwaZulu-Natal.